Cut each cheese stick into 6 equal pieces. Separate biscuits, cut each one into four pieces. Wrap the biscuit dough around the string cheese, making sure to pinch the seams thoroughly to close. Place on a baking sheet 2-inches apart and bake for 5 to 7 minutes until lightly golden brown. For the garlic butter: Melt butter. Stir in garlic powder and salt. Brush over poppers immediately after removing from the oven. 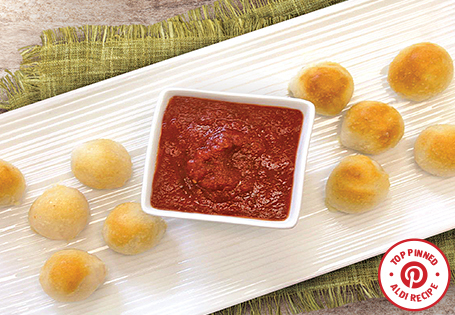 Serve with warm marinara sauce on the side.